As well as blackcurrants, researchers analysed apples, apricots, bananas, blackberries, blueberries, cherries, cranberries, grapefruit, grapes, lemons, mangoes, melons, oranges, passion fruit, peaches, pears, pomegranate, raspberries and strawberries. For some time goji berries, shipped in from the Himalayas, and American blueberries, were thought to offer the best health benefits. At £2 for a 60g bag, gojis do not come cheap, whereas pick-your-own farms in Britain offer blackcurrants at about £3.99 per kilo, about 24p for 60g. Blackcurrants are seasonal and harvested in July and August. 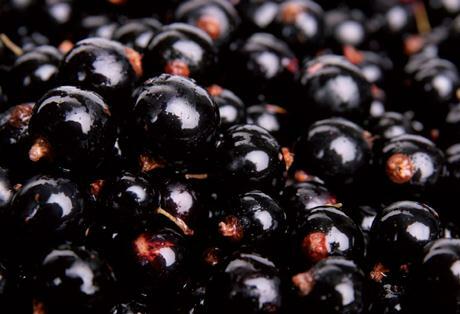 The total British blackcurrant crop can range from 12,000 to 14,000 tons a year. When I was a kid, we always grew currants in the garden, black and red. They are a bit sharp though mum used to make jam from both sorts and that always went down well! It’s funny you mention that though because last year I planted a few Blackcurrents that apparently are great eaten straight from the bush, named Ebony and Big Ben, check them out.